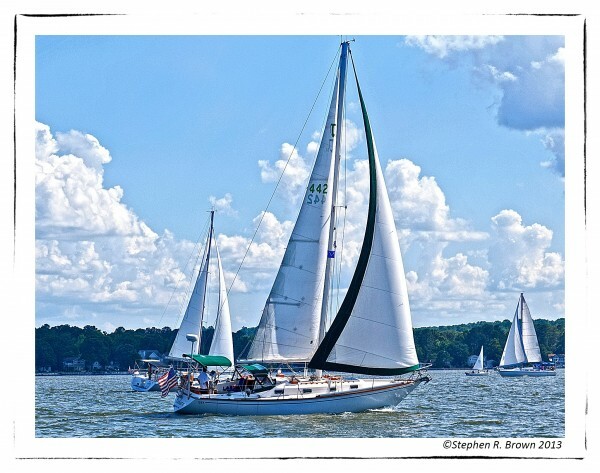 Stephen Brown Studio » Archive It's been a busy year in Washington, DC but every week, I try to get out on the L'Escargot and capture the beauty of sailing on the Chesapeake. I know exactly which photograph this will replace in the new edition of Tidewater: The Chesapeake Bay in Photographs. Tartan 37 cruiser/racer. Herrington Harbour. It’s been a busy year in Washington, DC but every week, I try to get out on the L’Escargot and capture the beauty of sailing on the Chesapeake. I know exactly which photograph this will replace in the new edition of Tidewater: The Chesapeake Bay in Photographs. This is a classic Tartan 37 cruiser/racer. I’d guess it’s early seventies and in great shape and trim as it sails off Herrington Harbour. July 13, 2013 | Filed under Blogs, Books, Photography, Tidewater and tagged with Annapolis, Art, Chesapeake Bay, Current Affairs, Environment, John Smith Trail, photography, St. Michael's, Tidewater.